CCH series hydraulic cone crusher adopting world advanced technology is designed and made through to be the crusher of world advanced level. it is widely used in metallurgical, architectural, water and electricity, traffic, chemical, architectural material industries. It is suitable for crushing varies of mid hard and above mid hard ores and rocks. SMH Series high efficiency Hydraulic Cone Crusher has a better performance compared with other ordinary Hydraulic Cone Crusher. 1.A high crushing ratio and production efficiency:the connection of higher turning speed and stroke makes the rated power and passing capacity improved greatly and the crushing ratio and capacity increased. 2.Less spare part consuming and low operation cost:Advanced crushing principle and technical data, reliable operation and low operation cost. All parts of the crusher have anti-wearing protection, which can make the life time of spare parts increased by 30% and the maintenance costs decreased to the lowest. The crusher avoids the disadvantages of impact crusher like low average crushing ratio, large energy consumption, fast abrasion of hammer, impact plate and lining board. 3.between-layer pressuring crushing and better finished product shape:The crusher adopts between-layer pressuring crushing principal and the suited turning speed, not the traditional single particle crushing principal. The special crushing cavity can makes the crusher crush materials selectively, thus the proportion of fine product and products of cubic shape be increased distinctly and products of lump size decreased by a large extent. 4.Hydraulic protection and hydraulic cavity clearing, high automatization and less stop production and repairing time:the discharge opening adjusted by hydraulic and overload protection makes performance of the crusher increased by a large extent, the maintenance and operation easier, the repairing time shorter. ; the bidirectional metal releasing hydraulic vat makes slab pass through crushing cavity；the crusher can discharges materials automatically when the hydraulic works under the conditions of iron passing and instantaneous overloading, thus there is no trouble of stopping the crusher to discharge materials by hand. 5.Thin oil lubrication makes the life time increased:Unique design of thin oil lubrication system prolongs life time of the crusher, high performance and not touchable labyrinth airproof part blocks off the dust and remove the common disorders like the mixture of oil and water in spring cone crusher. 6.Manifold crushing cavity, flexible application, strong adaptability:It is only need to change fixed cone lining board and movable cone lining board; the type of crushing cavity can be changed from standard coarse cavity to short head fine cavity, which can meet various kinds of need. 7.Easy maintenance and operation:All parts of SMH Hydraulic Cone Crusher can be assembled, disassembled and repaired from the top and side part, including the fixed cone and movable cone. For the changing no need to disassemble the crusher body and fasten the bolts. 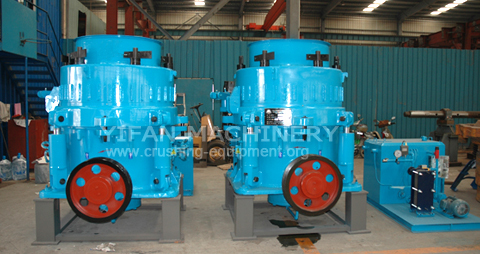 Hydraulic motor makes the performance of crusher better. 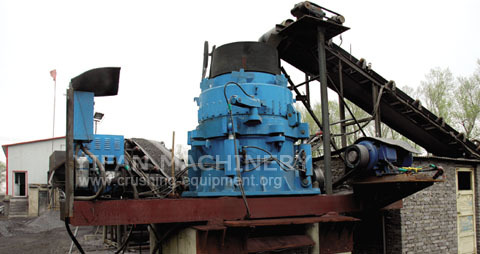 8.The crusher can provide customers a higher capacity, better product shape, and easy be operated. YIFAN offers complete jaw and cone crusher systems designed specifically to meet your crushing needs. We have a wide rang e of cone crusher and jaw crusher models to handle various type of aggregate product and process capacities. Contact a Westpro engineer today for your cone crusher inquiries. 1.The capacity is total tons per hour passing through crusher at open circuit when crushing medium and below hardness material and bulk density with 1.6x103kg/m3. 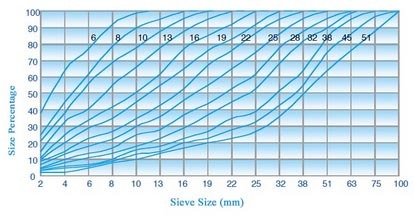 Capacities are relative to physical character and type of feeding, feeding size and composition and so on. 2.CCH651(D)and CCH684(D)standard configuration includes discharging opening of hydraulic locking and hydraulic motor adjustment, and you can choose CCh639(D),cch651(D)as matching products. Note: The capacity charts is for properly using SMH cone crusher and get to its capacity. Crusher is component of mining production line, so it’s character result from feeder, conveyor, screen, electric motor, drive part, surge bin. Noticing follow factors can enhance crusher capacity and character. 1、choose the right crushing cavity according to the materials be crushed. 2、the feeding size should be right. 3、Materials distributed equally around the round of crushing cavity. 5、Discharge opening of cone crusher works normally. 6、the model of belt conveyor be seasoned with the max processing ability of the crusher. particle size in the table have something to do width feed particle size crushing chamber type, moisture content, material density, can be broken,the volume of the mud etc.